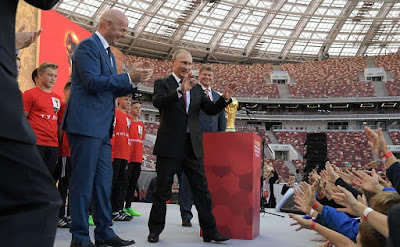 Vladimir Putin gave the start to the FIFA World Cup Trophy Tour at the Luzhniki Grand Sports Arena. Additionally, Russian President Vladimir Putin examined the renovated sports complex, watched a training session with the participation of football players from various sports schools and talked to young athletes. Mr. Putin was accompanied by Moscow Mayor Sergei Sobyanin and FIFA President Gianni Infantino. 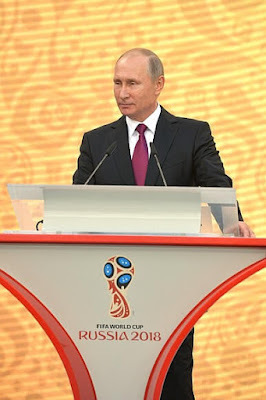 Speech of Vladimir Putin at the 2018 FIFA World Cup Trophy Tour kick-off ceremony. 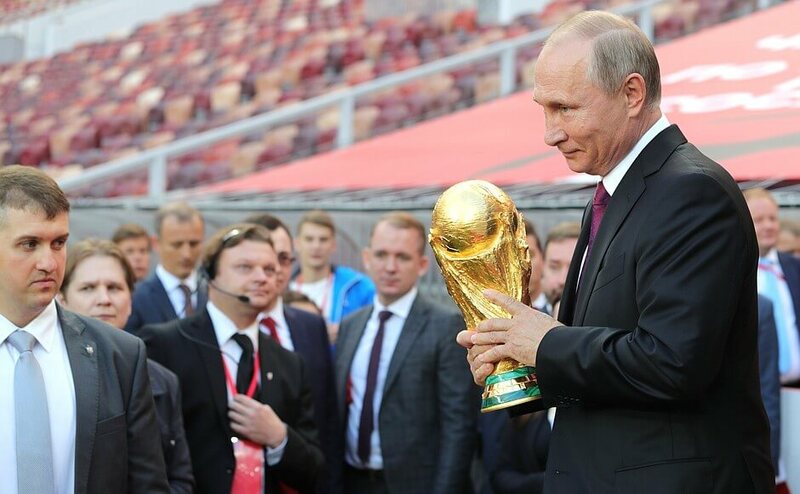 Today, the 2018 FIFA World Cup is starting a tour around our country, a tour around Russia. It will last for 123 days, and the total distance to be covered during the journey will amount to 26,000 kilometers. Vladimir Putin at the 2018 FIFA World Cup Trophy Tour kick-off ceremony. Vladimir Putin with FIFA President Gianni Infantino. 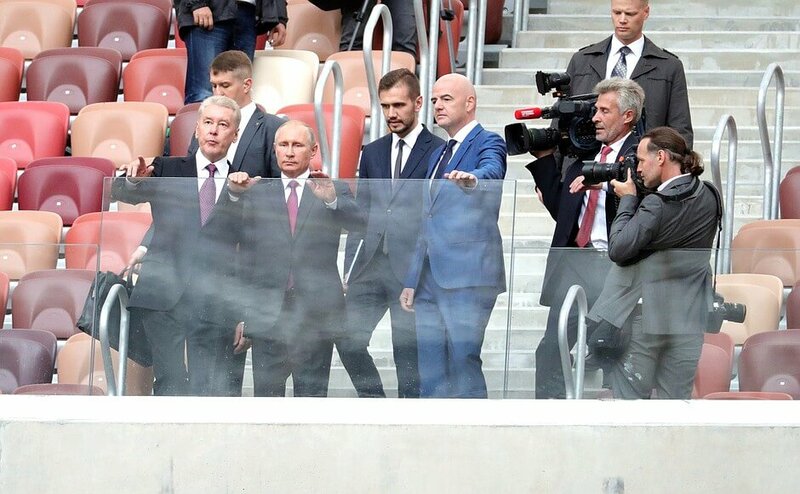 Vladimir Putin during his visit to Luzhniki Stadium in Moscow. 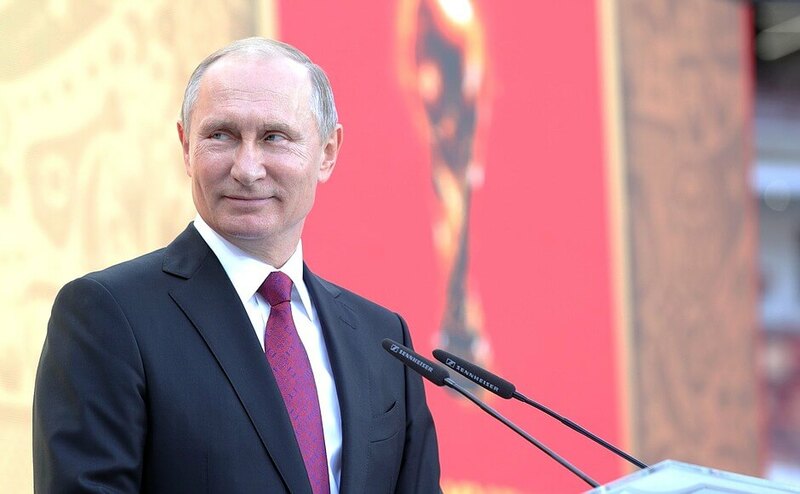 I am convinced that the 2018 FIFA World Cup will give a strong impulse to the development of football and its material legacy will become a center of attraction for a multi-million football brotherhood, as well as for young athletes who are as talented, full of strength and desire to show their worth, as the 1,500 sports schools students from across Russia who have gathered here today. 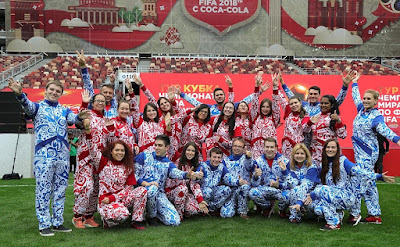 It is you and your peers who will carry on developing football in the not too distant future, performing in adult national contests, defending the colors of famous clubs, representing your Fatherland at international contests. 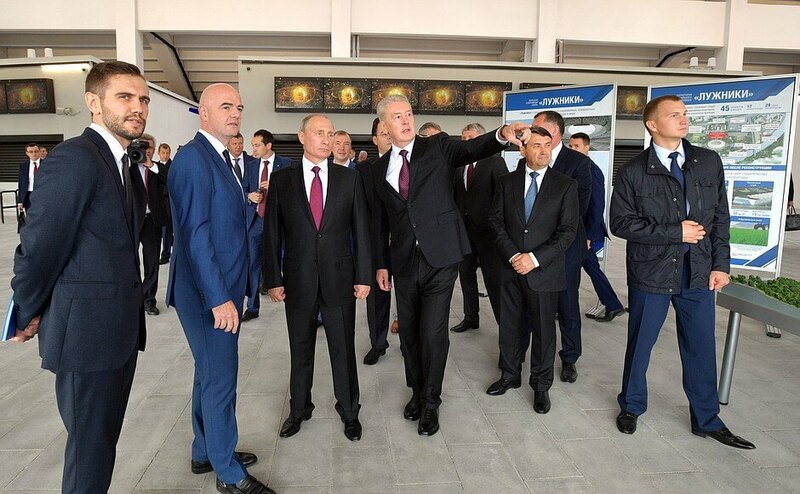 Vladimir Putin with Moscow Mayor Sergei Sobyanin and FIFA President Gianni Infantino. 2018 FIFA World Cup - support team. 0 Comment to "Putin visited Luzhniki Stadium in Moscow"